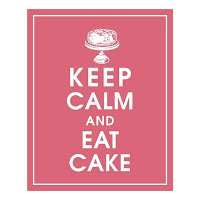 And Everything Sweet: Tipsy Tuesday:Celebrating the First Day of Summer!! Tipsy Tuesday:Celebrating the First Day of Summer!! So in honor of the first day summer I made a batch of ice cream cupcakes! The only thing about these ice cream cupcakes is the ice cream won't melt! In fact like most things here in Georgia during the summer, they're not even cold! Its not melting b/c its not ice cream. :) Its buttercream icing! They're so easy and you don't have to be a cake decorator to do them! Just make a batch of buttercream icing, stick it in the freezer or refrigerator, let it harden and then use an ice cream scooper to scoop out the icing. Stick it on top, drizzle some chocolate candy melts on top, add some sprinkles and top off with a fondant cherry. It doesn't get any easier than that!! I mean, they really look like they're topped off with ice cream don't they!?!? Remember the pirate themed cupcake stand tutorial? I used the idea again for these cute little summer cupcake stands. 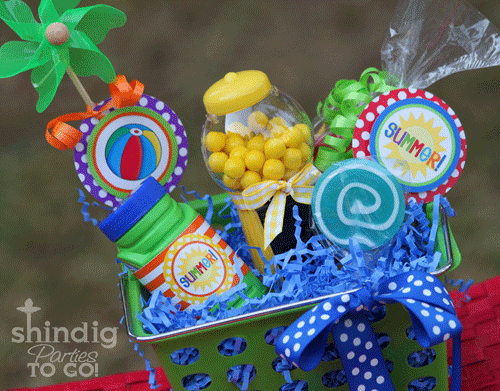 Another little summer tip....gotta check out this fun freebie over at Shindig Parties To Go. Cute little cupcake toppers and bubble wrappers perfect for a summer party! Those are so cute. They are exactly like icecream, only a million times better as they are made from cake! What a great idea! Next time I make cupcakes I definitely want to try that "ice cream" trick. Oh my goodness, I can't wait for tomorrow night...I hope they haven't melted so I can sample one:)! LOVE it! Where did you get those cute Luau theme paper wrappers? Did you bake your cupcakes in those? Adorable! WOOHOOO I am your 450th follower! Love your blog, I especially love your Dr Seuss cakes! I make with quilts with Dr Seuss fabrics and I am addicted! You work is amazing! Hi, I am following your blog from Turkey. so cute. Tie Shirt is DAD APPROVED!! !